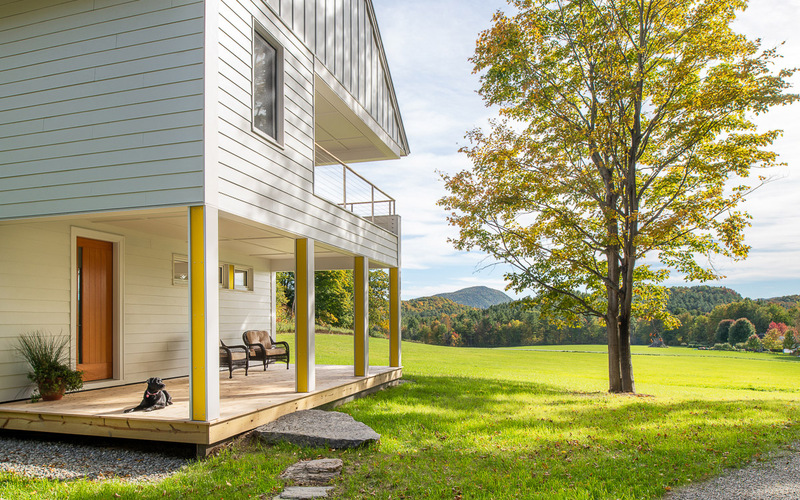 This modest residence is situated on the northern edge of an existing hay meadow with a view south to the Green Mountains. 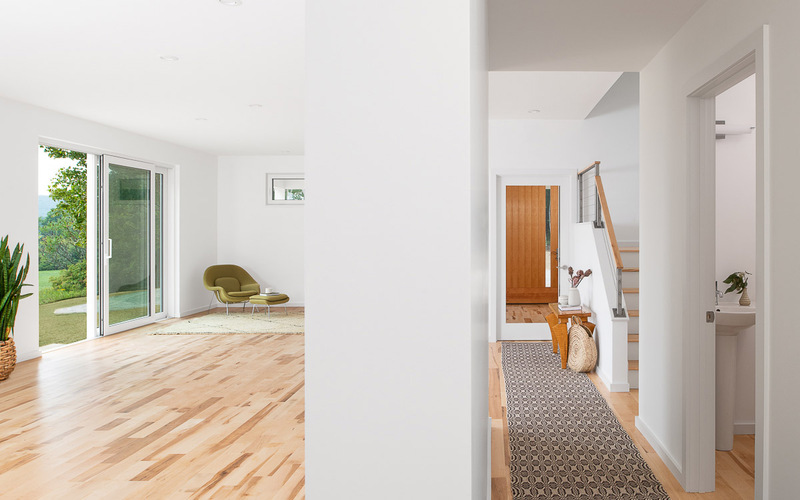 This house adjoins 65 acres of preserved land that is part of local efforts to improve the Lewis Creek Watershed. 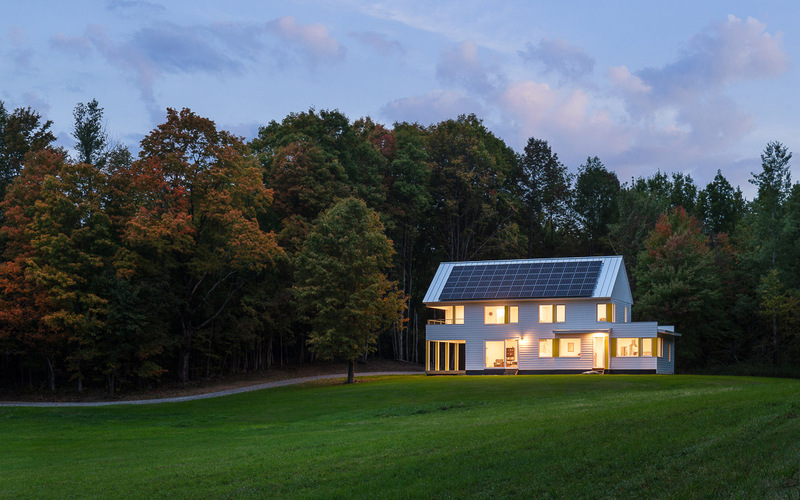 The net-zero house features a 15 kW solar array, with a battery backup providing auxiliary power when required. Air-source heat pump systems provide heating and cooling, as well as hot water. 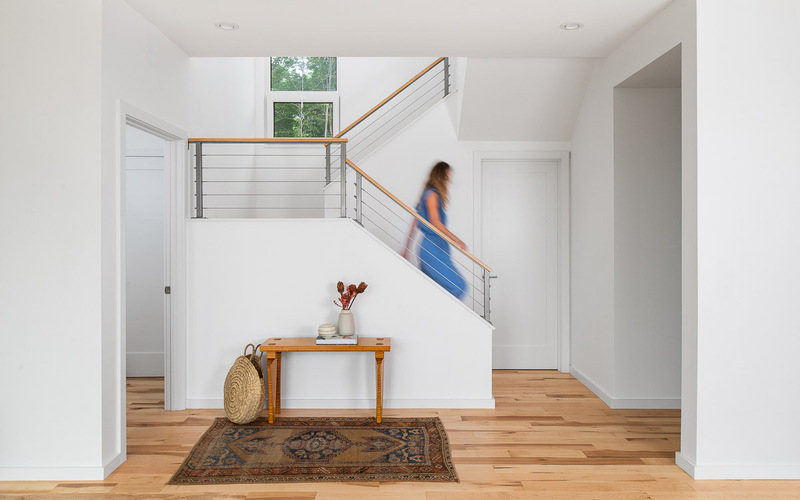 Building materials, details and the efficient thermal envelope reduce upkeep and annual utility costs are close to zero. 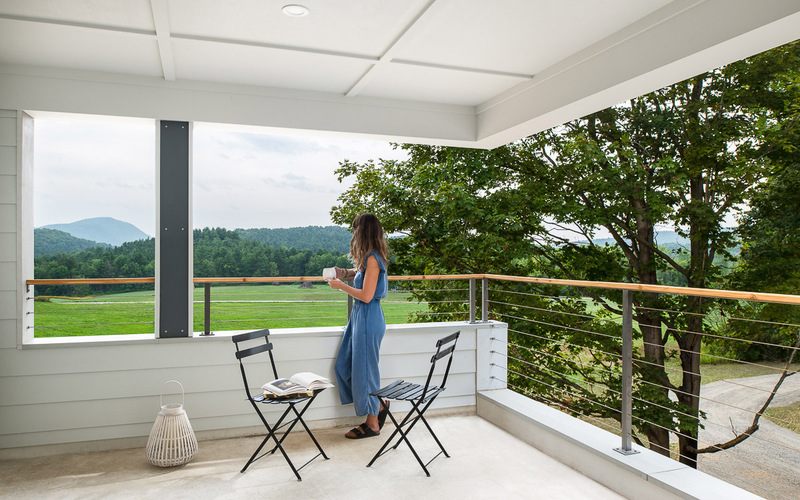 Primary living and gathering spaces are oriented toward the southern view and sun. 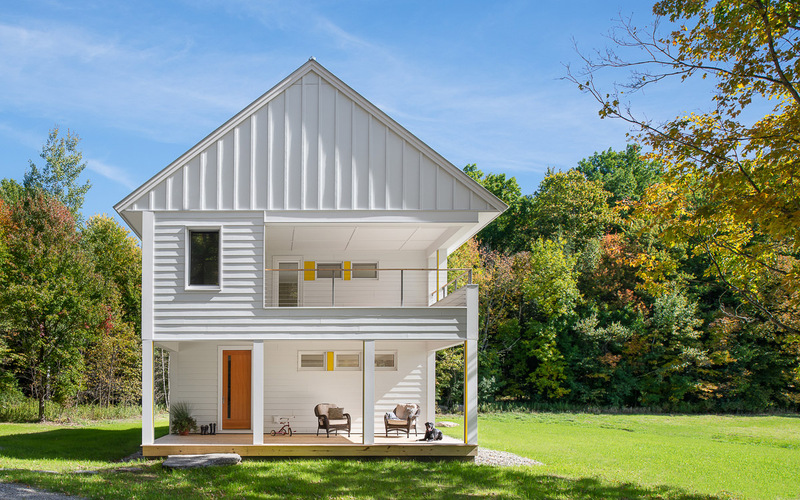 Smaller service spaces are configured along the north side of the home, facing a wooded area. 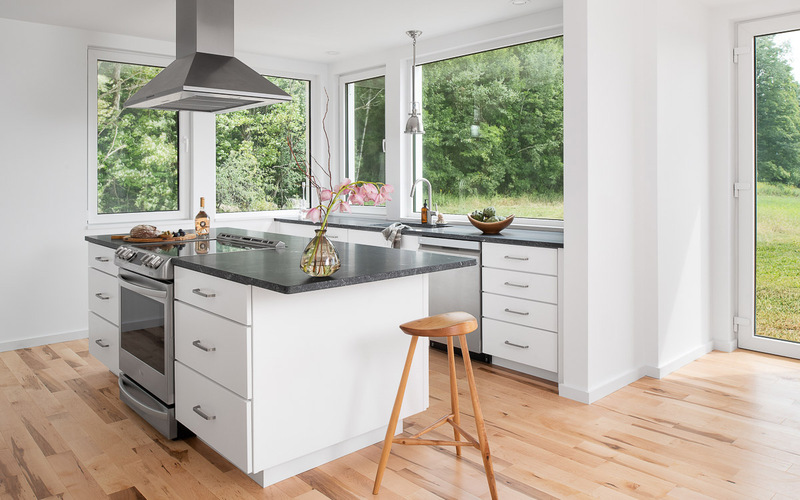 The design is direct and concise, with glazing and glass doors providing ample natural light and easy access to the outdoors.